Back in the sixties, my dad was friends with a man (Bob Scott) who knew a whole lot about radio technology. I believe Bob worked at and lived near the 50,000 watt WWVA 1170 AM transmission facility “Story Acres” on Barton Road in St. Clairsville, Ohio. It always intrigued me that during nighttime hours, the AM frequencies would “skip” farther along the ionosphere, allowing WWVA to be heard over vast areas of the country. 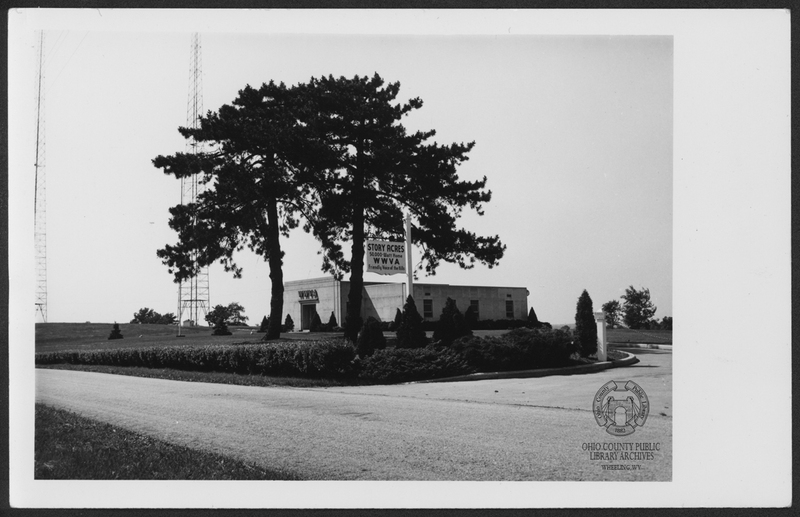 Of course the raw transmission power of this station was already so great that many nearby folks could hear the broadcasts on their telephones and other non-radio devices. The building itself always reminded me of a fortress or a mausoleum and in my young mind held many technological secrets behind its stone walls. Before the days of the internet, radio engineers always seemed to hold an enviable expertise and I believe at one time Bob offered to take my dad and me to see this facility. However, this never happened -- but sometimes I wish it did or even that I could now go and see its inner workings.